An artist that just keeps improving with age, the phenomenon that is Robbie Williams touches down in the Principality this coming May. British pop superstar and former boy band alumni Robbie Williams has recently turned 40, but is definitely showing no signs of slowing down. At the end of April he embarks on a new European tour in support of his latest album, ‘Swings Both Ways‘; a tour that will take him from Budapest to London and will include a stop in Monaco on the 31st of May. A good way to show audiences that he hasn’t lost any of the spark and charisma that have contributed to his success over the last two decades. Released in November 2013, ‘Swings Both Ways‘ is Williams’ second swing album after the critically acclaimed 2001 ‘Swing When You’re Winning‘, and has already sold a million copies worldwide. Reprising the winning formula that worked so well the first time around, Williams has again surrounded himself with a string of renowned singers, such as Michael Bublé, Lily Allen (on the album’s second single ‘Dream a Little Dream’), Rufus Wainwright and Kelly Clarkson. Together with him, they perform covers of classic swing numbers, but also original material from his longtime songwriting partner and producer Guy Chambers (‘Swings Both Ways’, ‘Go Gentle’, or ‘Soda Pop’). Even though we are not privy to the set list for the concert, one can expect songs from those two albums but also some of the witty star’s biggest hits like ‘Millenium‘, ‘She’s the One‘, and ‘No Regrets‘, to name but a few. With 10 studio albums already under his belt, Robbie Williams has sold more albums in the UK and won more BRIT Awards than any other British artist in history, making him one of the greatest artists of all times, but like many other things in life, he keeps getting better with age! 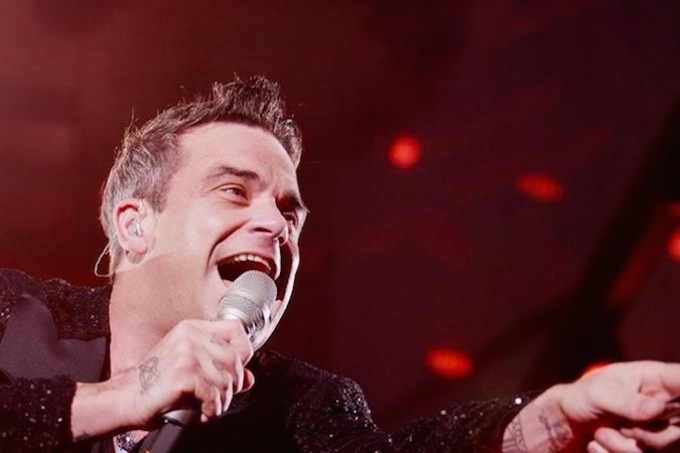 Robbie Williams plays at the Sporting Monte-Carlo on the 31st of May at 8:30 pm. Tickets cost €300 and may be reserved by calling +377 98 06 36 36 or emailing Monte-Carlo SBM.